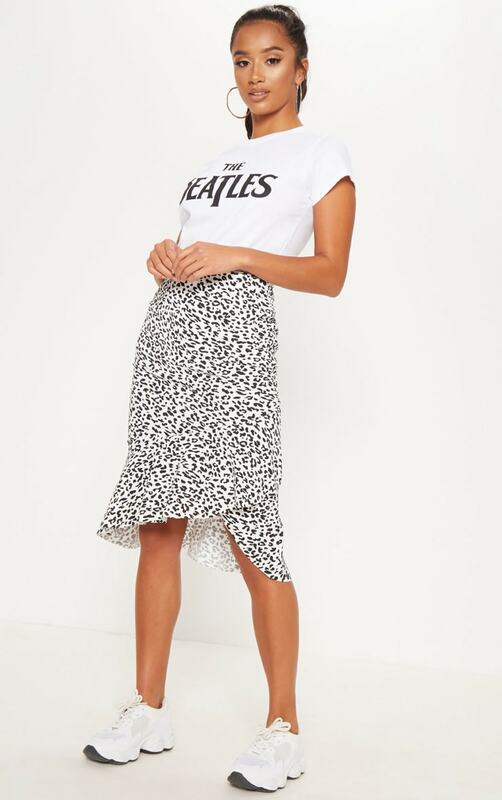 Struggle to find skirts that fit your petite frame? 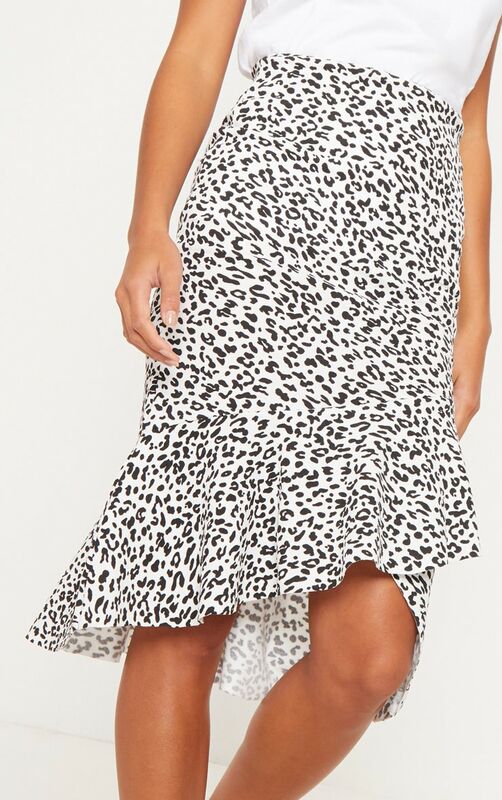 We're loving this midi skirt, featuring a white leopard print and ruffle. Team with trainers and a white tee for a cute AF dressed down look.